Hello, friends! It’s been a couple weeks since the last Queer Kids Book Club, and I’m going to get better at this scheduling and writing and blogging thing one day, I swear. But this book is worth the wait- it’s lovely and one of my favourites and not one I see too often. 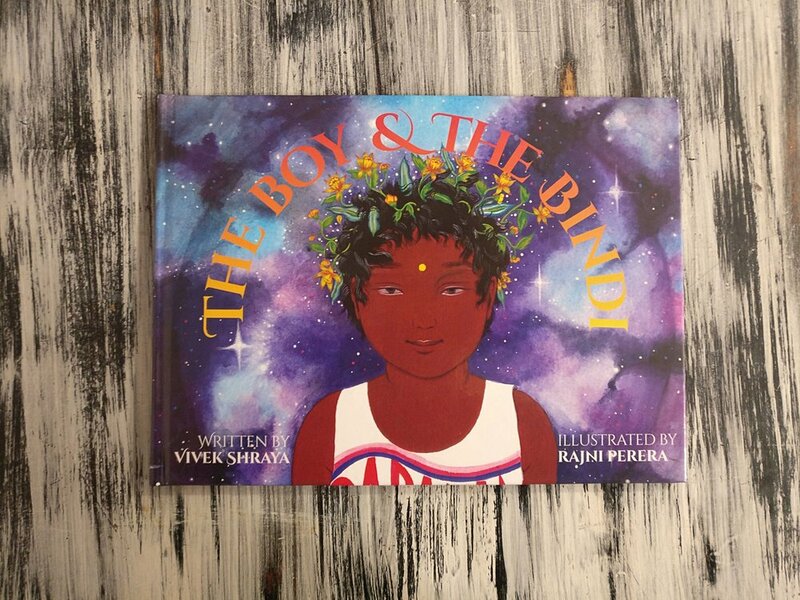 “The Boy & The Bindi” is a children’s book by Canadian author, musician and visual artist Vivek Shraya. And I love it for many reasons but first and foremost- let’s talk about representation. Representation matters, a phrase I use hundreds and probably thousands of times on my Facebook and Instagram and here. And while it’s amazing that we have so many children’s books today that feature LGBT children and families- we need to wrestle with the fact that the vast majority of queer kids books (like all children’s books) feature white folks. Queer black, indigenous and people of colour (QBIPOC) exist- obviously. But looking at the media representation of queers, you wouldn’t know that. The public face of queerness skews incredibly white. Representation for any child of colour who exists anywhere on the LGBT spectrum is super hard to come by. Which is why I love this book. Written by a trans woman of colour, “The Boy & The Bindi” is an #ownvoices book (own voices meaning that the author has lived experience of what they are writing about- ie, books about queers written by queers, books about Indian culture written by Indian authors rather than white ones, etc.) and one that features a little boy who wants to wear a bindi just like his mum. In the story, the child wants know what his mother’s bindi is and she tells him she wears it to stay safe, true, and to be reminded of where she’s from. When her child asks if he can wear one too, the mother reacts positively, and tells her child of course. One of the many things i like about this book is how the story doesn’t involve the gender-non-conforming child experiencing bullying or oppression. His mum is loving and kind, accepts him wanting to wear a bindi (traditionally worn by women) and the children at school are curious, rather than bullies. Too often stories involving queer children hinge on the oppression narrative- a child has to learn to be true to themselves despite the bullying and fear of the outside world. When every story about someone who is like you is centred in oppression and trauma, what message does that give? The child in the story puts on the bindi his mother gives him, and it makes him feel safe, connected and himself. It’s a beautiful story, and in a world where queer children of colour are nearly never represented in media, “The Boy & The Bindi” is an incredible addition to children’s literature. 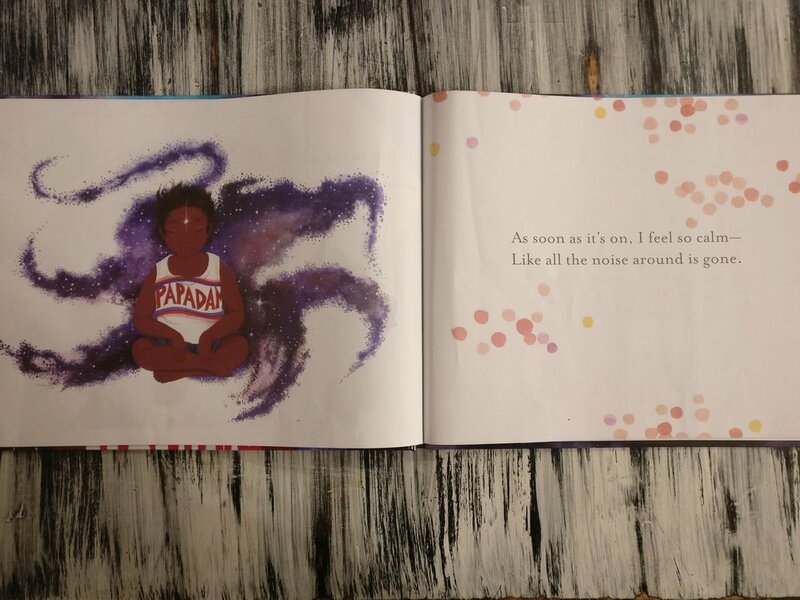 Children- of all colours, genders, orientations- deserve to see themselves in stories. This story provides a mirror for children who rarely get one in books. Above all, right now, non-binary and trans folks in the United States (and elsewhere) are under attack. Now- more than ever before- it is important to make sure any children in your homes and schools see positive representation of gender non-conformity, of trans folks, of non-binary people. While of course children who are any of those things deserve to see themselves in stories, cis children need to see stories that normalize non-cis folks. With the rhetoric of hate ramping up and up and up, it is up to us as educators and parents to teach children that all gender expressions are valid and worthy. 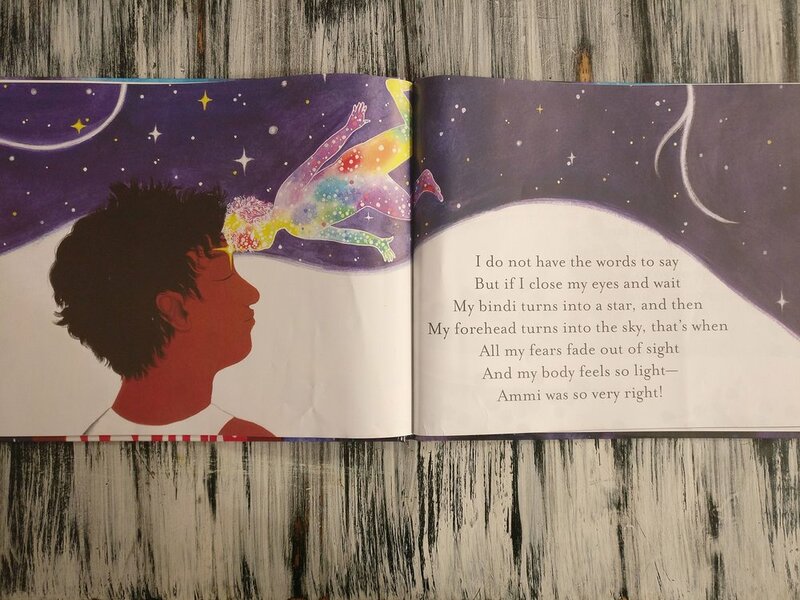 “Boy & The Bindi” is a charming, sweet and loving story that embraces children outside of the gender binary and it should have a place on every bookshelf. Have you read it? What were your thoughts? Let me know!